25 years in business serving the greater Manchester area. Over 185 years combined experience between 12 employees. Factory trained technicians for a variety of automotive manufacturers & small engines. We are constantly providing our technicians with training in a variety of areas to keep them current with new technology. 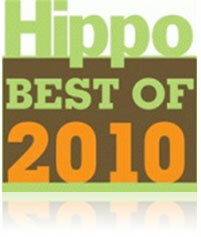 In 2010 The Hippo readers voted Pro Image Automotive “The Best Mechanic in Manchester” Pro Image does it all: Service and repair foreign/domestic vehicles, all makes and models. Including 4x4, AWD, and Hybrids. Cars, trucks, SUV’s. 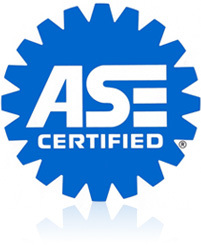 Fuel injection, emissions, electrical specialists, four wheel alignments. Sales service and repair Lawn mowers (ride on and self propelled), snowblowers, snowplows, trimmers, weed wackers, chainsaws, leafblowers, generators and all other small engine equipment. We repair ALL makes and models of small engines. Comfortable waiting room with a kids corner, free wi-fi & coffee. At Pro Image, we pledge to CONTINUE providing 100% honest and sincere service to all of our customers 24month/20,000mile warranty / we stand behind our work (compare our warranty with any other shop or dealership) 100% lifetime warranty on complete brake jobs. Experts at offering & performing alternative repairs. You will never be charged more than three hours for diagnosing a problem – if it takes longer, we will waive the fee! 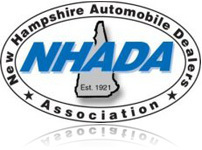 The New Hampshire Automobile Dealers Association (NHADA) is a statewide trade association, representing the interests of the motor vehicle industry. Membership consists of all of the new-car and new-truck dealers in the state, along with motorcycle, recreational vehicle, farm equipment, used-car, power equipment, and construction equipment dealers, as well as motor vehicle service, autobody repair, and motor vehicle parts sales facilities, and associate members.